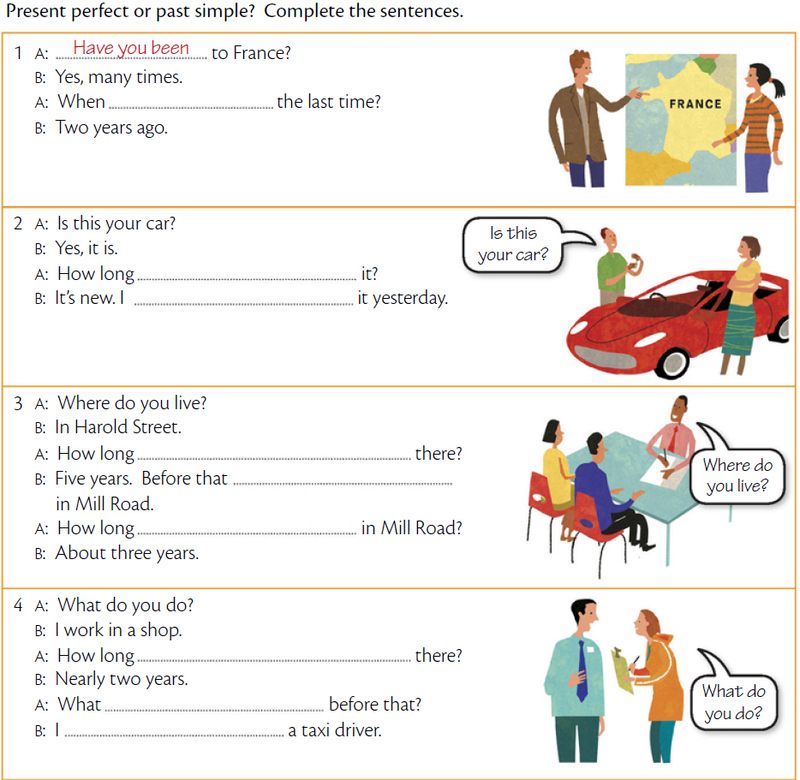 20 Write sentences with the present perfect or past simple. Напишите предложения в настоящем совершённом или простом прошлом времени. 1 A: Have you been to Thailand? 2 A: Do you like London? 3 A: What time is Paul going out? 4 A: Has Catherine gone home? 5 A: New York is my favourite city. 6 A: What are you doing this weekend? 7 A: I can’t find my address book. Have you seen it? 8 A: Do you know the Japanese restaurant in Leeson Street? 9 A: Paula and Sue are here.